Digitalisation, networking, cloud computing, data security – the fourth industrial revolution is underway – even concerning logistics – and is at the level of prompt and consistent data and information. Making logistics-related object properties available to all members of the supply chain, reveals a whole host of potential for efficiency. The prerequisite for this is a secure data space that is regulated and standardised across the board. Logistics is one of the sectors that is set to benefit in particular from the possibilities of a secure data space. The reason for this is that logistics processes rely to a large extent on consistent and reliable data that is available promptly – and in particular, that comes from the properties of logistics objects. If you take a look at the current degree of automation, most handling and logistics systems work with an object ID such as a part number, the object geometry, and the object weight. The properties of products, boxes, pallets, or other load carriers are recorded in the inbound or outbound goods areas of logistics or sorting centres. Their availability over the entire supply chain is, however, limited by company boundaries, a lack of standards for storage and archiving a lack of rules and regularity concerning updates, and the sometimes manual and therefore error-prone recording procedure. As a consequence, material master data and object properties are currently only made available to the supply chain in a proactive manner on rare occasions – and particularly given the fact that questions regarding structure, language, rights of ownership, and data security have yet to be clarified. About changes, it is actually down to the manufacturers to deal with information technology matters. Only they know when and which data is to change with regards to their product, and are therefore the only ones who would be able to provide comprehensive information promptly. If the information is not provided, this can lead to major problems. For example, if a supplier changes the “Content” object property to “10% more content” as part of a marketing campaign but fails to notify those responsible for logistics further processing downstream, this can have a negative impact on automated handling and the logistics process. As a result, storage sizes and containers cannot be used as planned, incorrect storage space suggestions trigger stock transfers, and shipping units vary regarding size and weight. The example demonstrates why it will be necessary for the future to make such data available to all partners in a supply chain on a secure platform to enable them to optimise their specific processes. When it comes to modern logistics systems and processes, the requirements of “throughput” and “flexibility” seem to be difficult to reconcile at first glance. To better satisfy these in future, automation solutions are required that no longer simply ensure the local optimum, e.g., for an automated warehouse, but that also provide a global benefit for the entire supply chain. This means that more object information will be required in the future and this will have to be available freely and promptly at every point in the supply chain. Recording this additional information is, however, only one part of the task to be addressed. It is also necessary to have consistent standards for storing and archiving object data, even across company boundaries. To name just a few aspects, this will involve standardising master data archives, rules in the event of data changes, rules for real-time availability, the authenticity and rights of ownership of data, and, above all, clearly defining data security. 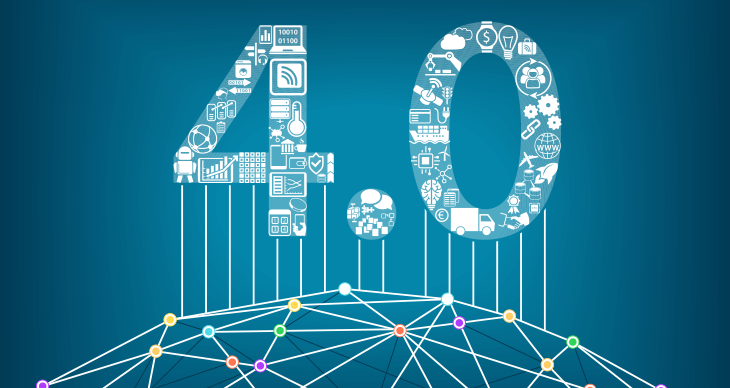 Companies will only make their own data available – even for Industry 4.0 in general – when they can be sure of the security in the data space. The key requirement can be formulated as follows: How can a network that speaks for openness intentionally be made as secure as possible and yet remain accessible? Knowing more object properties enables more handling and logistics processes to take place. Once data such as the contents of shipping cartons or the loading pattern of a pallet has been recorded for the first time and is then securely available in a data space, it doesn't have to be gathered several times again along the supply chain, as has sometimes been the case until now. It is then enough to verify the data before individual steps at a relatively low cost. Goods recipients can log into the cloud, view their shipments, such as the loading pattern of a pallet before depalletizing unsorted pallets or the load carrier allocation for “bin picking”, and take proactive measures. This doesn't just open up new possibilities for value creation concerning logistics but also brings about new business models with high process complexity, such as in e-commerce, multi-channel sales, or far-reaching supply chains. The basis for this is an intelligent sensor, system, and software solutions which are already available today and which can collect both conventional master data as well as additional object properties at the required standard of quality, process these and make them available in the cloud. At object and part level, this is achieved by 2D/3D vision sensors from SICK, which enable barcodes, 2D codes, digits, and characters to be identified or the geometric dimensions of an object to be recorded. In the next packaging aggregation stage, laser scanners determine the volumes and loading geometries of parcels, boxes, and other totes. The height and width of pallets can be recorded with 3D vision sensors or light grids, for instance. RFID gates enable the loading of truck swap bodies to be detected automatically. The RFID antennas connected to an interrogator and an integrated web server provide a direct connection to the industrial data space. All of these sensor technologies are available from a single source – SICK – as is the Package Analytics software, which issues the recorded object properties with a time stamp, stores them in a database, and can send them to the cloud if necessary. It will, therefore, come as no surprise that SICK is actively involved in the architecture of this data space. It’s a founding member of the not-for-profit association Industrial Data Space e. V., for example, alongside the Fraunhofer-Gesellschaft research organisation, the ZVEI German Electrical and Electronic Manufacturers' Association, and a further 15 commercial enterprises. Together, they have set the objective of playing a part in the establishment of a secure data space both across Europe and worldwide. The association aims to enable companies from various sectors of industry and of different sizes to network their data with confidence. The future of logistics is to be found in end-to-end digitalisation, which will enable the new potential for creating value and new business models to be established. The recording, collecting, evaluating, and supplying of object information with the aid of intelligent sensors delivers a wealth of data for this; however, its true value only comes to light when all partners involved in the supply chain can rely on security when supplying, sharing, and accessing this data.